Consider Fort Dupont Park D.C.’s neglected running spot. While dozens, if not hundreds, of runners dart up and down the National Mall, Rock Creek Park or the Capital Crescent Trail every day, Fort Dupont Park is the all-too-often-forgotten-about enclave of nature in Southeast D.C. It is 400 acres of National Park Service land lined with quiet roads, running trails, and, yes, bathrooms and water fountains. Yet on a spring Saturday morning — with nearly perfect running conditions of mid 60-degree weather and little humidity – there was not a running soul seen through the park. 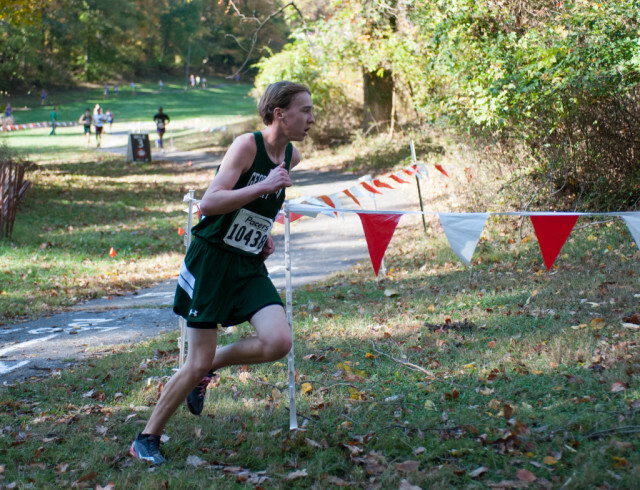 That changes in the fall, when it plays host to D.C.’s championship cross country meets. Granted, the neighborhoods surrounding the park don’t have the best reputations in and around the city, but Fort Dupont has plenty to offer runners from across Washington. The park is named after an old Civil War fort that protected the vulnerable watershed of the Anacostia River from Confederate attacks. In fact, former fortifications and earthworks remain today near the picnic area off Alabama Avenue. While barracks and guns eventually gave way to what is today’s park, runaway slaves also found shelter here too, according to the National Park Service. Visitors can find 10 miles of trails including the 7-mile Hiker/Biker Trail that runs from Fort Mahan just north of East Capitol Street to Fort Stanton off of Branch Avenue. The trail connects six former Civil War fortifications and runners can stop for some of the few water fountains or restrooms that dot the trail when nature calls. The most runner-friendly aspect of the park might be the tall pine trees and heavy foliage that are ubiquitous and provide constant shade. There’s no need to worry about the sun beating down on you during the dog days of summer. The unimaginatively named Hiker/Biker Trail is mostly gravel with solid footing and wide enough for two side-by-side runners. Don’t come looking for a flat terrain. Expect mostly rolling hills with a few steep inclines. The trailhead is accessible from either the Minnesota Avenue or Benning Road Metro stations. There is limited parking within Fort Dupont if driving from Pennsylvania Avenue from the other side of the Anacostia River or I-295 from the south. But like this writer, plenty of major roads nearby are bike-friendly enough to make it on two wheels. It’s open from dawn until dusk. Fort Dupont contains several paved roads that wind their way throughout the park. And like Rock Creek Park and its popular Beach Drive, the National Park Service closes gates from nearby roadways on the weekends and holidays, creating a safe and quiet network of roads and trails for runners. The park offers plenty besides a runner’s haven. Summer concerts are popular in its amphitheater. It has recreational fields, tennis courts, a basketball court and a baseball diamond. But its runner-friendly hiking and running trails and roads make it an ideal location for runners from D.C.’s east side and throughout the city to log their miles. This article originally appeared in the July/August 2014 issue of RunWashington.